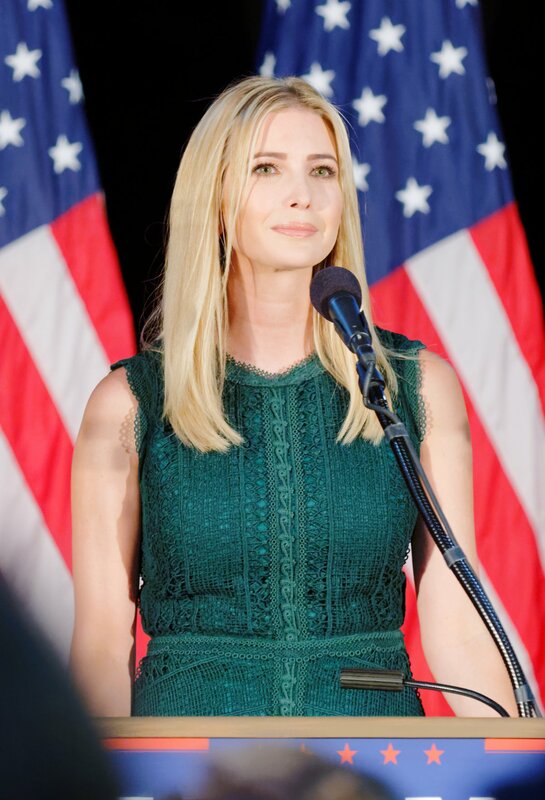 Ivanka Trump defends her dad Donald Trump -- "He's one of the great advocates for women"
Ivanka Trump has started to defend her father, presidential hopeful Donald Trump insisting that he is not a sexist. Speaking with Town & Country magazine, the 34-year-old expectant mother explained Trump would have made the disparaging remarks he has made against GOP candidate Carly Fiorina and Fox News anchor Megyn Kelly about anyone he didn't like, regardless of gender. "If he doesn't like someone, he'll articulate that, and I think it's also part of what resonates about him," Ivanka said. "He'll say what he's thinking." Ivanka also pointed out that her role as the executive vice president of development and acquisitions at her father's company further proves that Donald is "highly gender-neutral." "If he didn't feel that women were as competent as men, I would be relegated to some role subordinate to my brothers," she shared. "I think this is one of his great strengths: He fully prioritizes merit and accomplishment and skill and ability over background, education and gender. This company, over four decades, has always had women in its highest ranks... I think he's one of the great advocates for women, and he has been a great example to me my whole life...He 100-percent believes in equality of gender...[He has] confidence in women to do any job that a man can do, and my whole life has been proof of that." Ivanka does indeed side with her outspoken father politically as well despite the pair sometimes having disagreements. "Well, I'm his daughter," she said. "In a political capacity, I don't [disagree with him]. It's his campaign. I don't feel that's my role. But I would challenge him as a child. That's what children do. [My daughter] Arabella challenges me every day." Ivanka is currently expecting her third child with husband Jared Kushner and recently shared a photo of her growing baby bump on Instagram while on vacation in Belize.